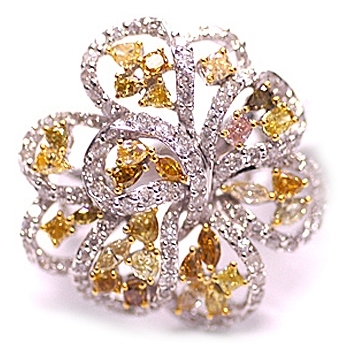 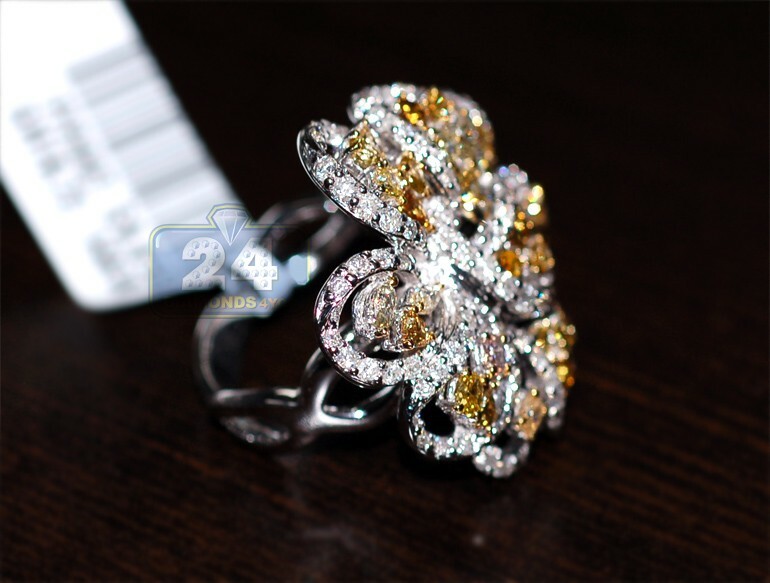 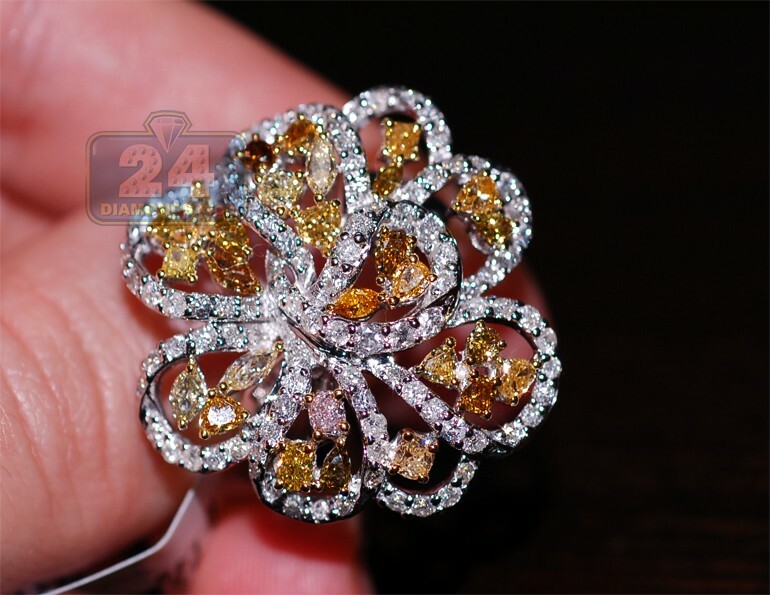 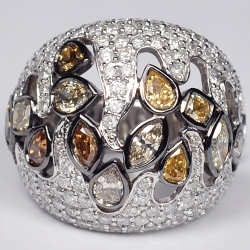 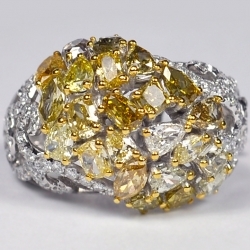 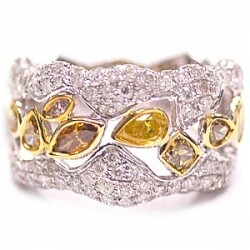 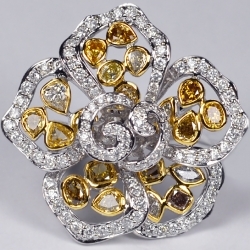 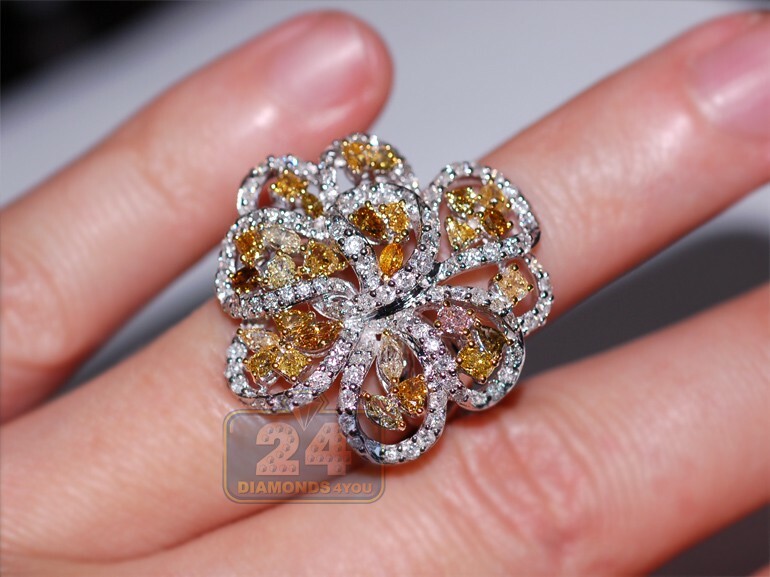 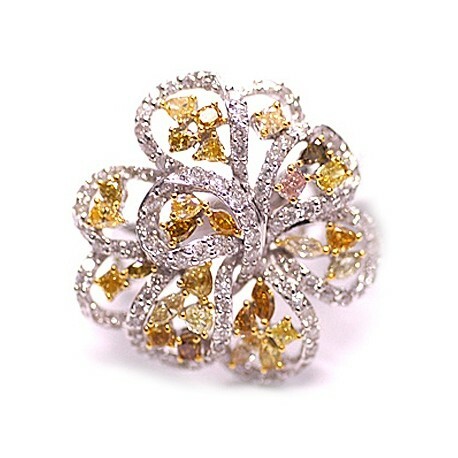 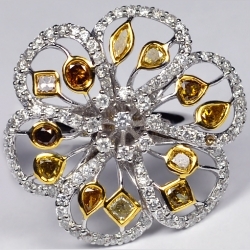 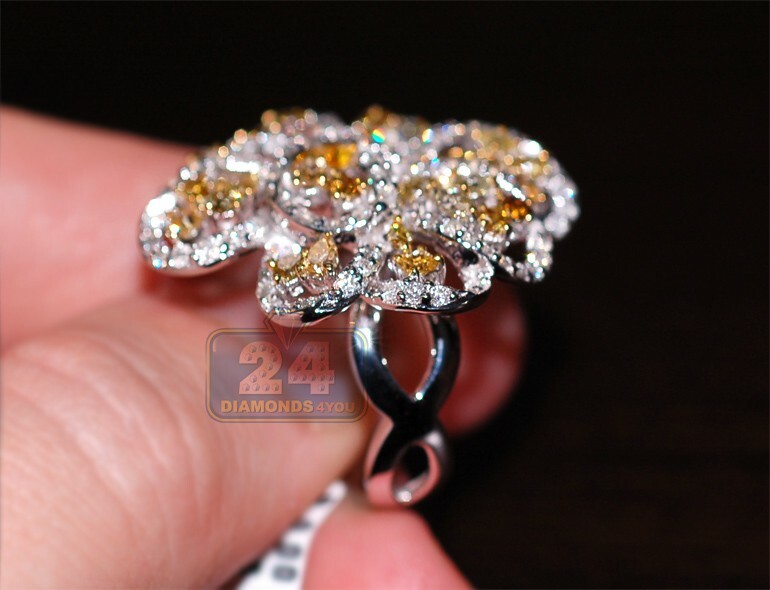 Extraordinary in design, this luxurious cocktail ring is artfully handcrafted in cool 14k white gold with high polished finish, and features a gorgeous flower inspired design covered in shimmering natural fancy yellow, brown and classic white diamonds. 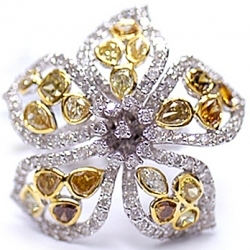 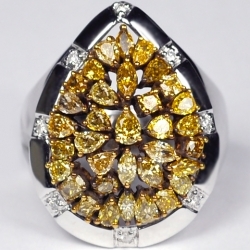 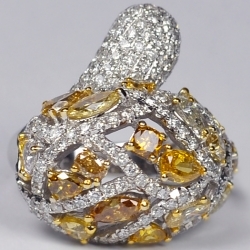 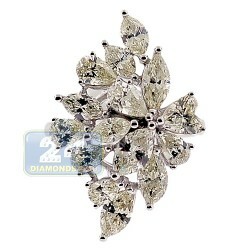 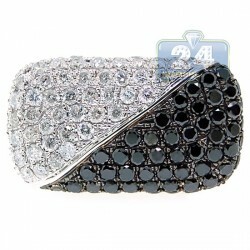 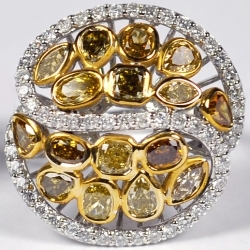 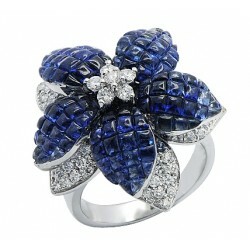 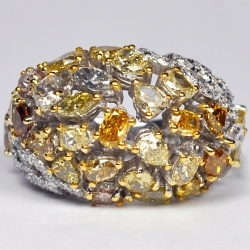 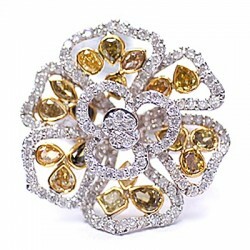 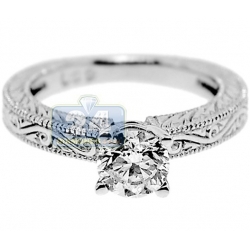 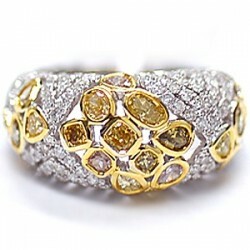 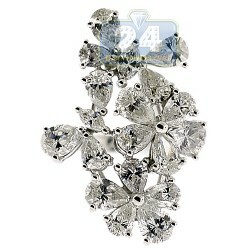 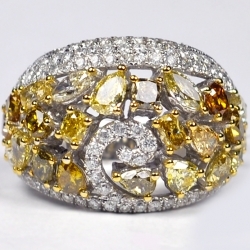 Impressive fancy stones are shining with various colors and shapes like oval, pear and princess. 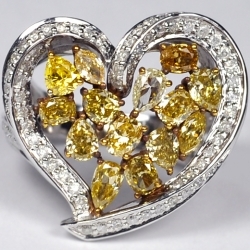 What a truly one of a kind treasure!